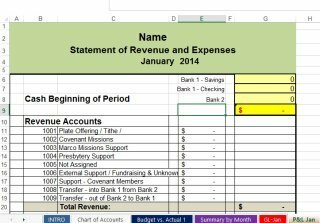 Knowledge of some basic accounting concepts and bookkeeping systems is necessary in order to set up and maintain an accounting system for your church or nonprofit. Single entry bookkeeping can be employed by small churches or nonprofits where a balance sheet is not required for financial control or tax purposes. Double entry bookkeeping is required for all organizations that must produce both a Statement of Activity and a Statement of Financial Position (Balance Sheet). See more on financial statements for nonprofits. 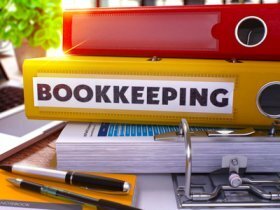 To really understand the difference between these two bookkeeping systems, you must understand some basic accounting concepts. Assets = Liabilities + Net Assets. Let’s discuss the second one first. In basic paper accounting, accounts are set up to look like a “T” and are actually called T accounts –very imaginative huh? Anyway...in this “T” account – amounts entered on the debit side (left hand side) are called debits and amounts on the credit side (right-hand side) are called credits. 'To debit' means to make an entity in the left-hand side of an account' and 'To credit' means to make an entry in the right-hand side of an account. Important! The words debit and credit have no other meaning in accounting. Most people think a debit and credit as a positive or a negative. They are not either. Now...back to rule number 2...Debits and credits must be equal for all entries in a double entry bookkeeping system. A debit or credit will either increase or decrease an account balance depending on what type of account you are working with. What this really means is that, from an accounting perspective, the Net Assets (also known as Net Worth, Retained Earnings, or Fund Balance) is the difference between what your organization owns (Assets) and what your organization owes (Liabilities). Learning those two basic concepts was not too hard was it? Courses Created Specifically for Churches Using QuickBooks! There are TONS of videos available on the web for using QuickBooks BUT not very many "accurate" videos on using QB for churches...especially with QBO! So I am very excited to tell you about these online classes that were created exclusively for all of us that use the desktop and online version of QuickBooks! 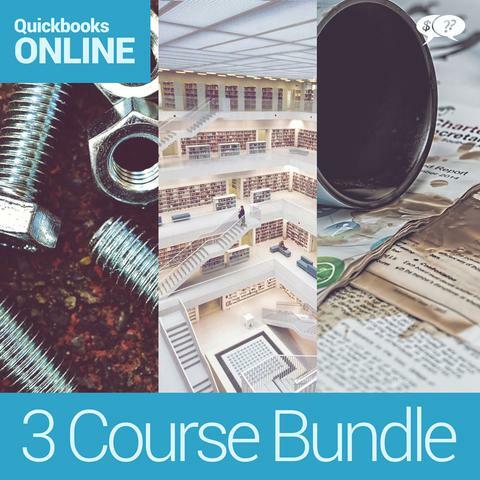 The Nuts and Bolts - learn how you can take QuickBooks for a test drive, set it up, and the how to use it effectively! Available for QuickBooks Online and QuickBooks Desktop. Advanced Topics -learn budgeting, report and correspondence customizations, handling special events and capital campaigns, and so much more. Common Mistakes and How to Correct Them -correct set up errors, bank and credit card reconciliation issues, donations errors, reclassifications and more. Save with a 10% discount on ALL CLASSES! There are advantages and disadvantages of using a single entry bookkeeping system. The main advantage is the simplicity. It involves the simplest form of keeping records of financial transactions. Essentially the organization makes two lists, one of income received and one of expenses incurred. This is beneficial for organizations that rely on volunteers with virtually zero accounting or bookkeeping knowledge. It is similar to a check register. You add your increases and take away your expenses...all the while keeping a running daily balance. The main disadvantage of single entry bookkeeping is the absence of financial control due to limited detailed records of asset and liability accounts. It is also easier to make errors with. With double entry bookkeeping everything must balance. Most medium and large organizations use a double entry system which tracks their income (donations) and expense AND their assets and liabilities. Double entry bookkeeping is require for all organizations that are required to produce a statement of its assets and liabilities (a balance sheet or statement of financial position). In a double entry bookkeeping system, at least two entries are made with every financial transaction recorded...a debit and credit.Each transaction must balance each other. For every increase in one account, there is an opposite (and equal) decrease in another. Double entry bookkeeping computerized systems have some a long way in the ease of using them. Most of the time you just have one entry to make and the program does the additional entries required to balance your transaction. To learn more basic church and nonprofit accounting try my book: Basic Fund Accounting. 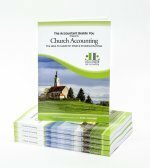 It provides you with fund accounting concepts; examples of accounting journal entries; descriptions and examples of financial statements; a chart of accounts for a church; a chart showing what accounts you debit and what you credit; and step-by-step instructions for posting church business transactions. I have built my accounting spreadsheets using the single entry bookkeeping system outlined above. Want to learn more basic accounting tips? 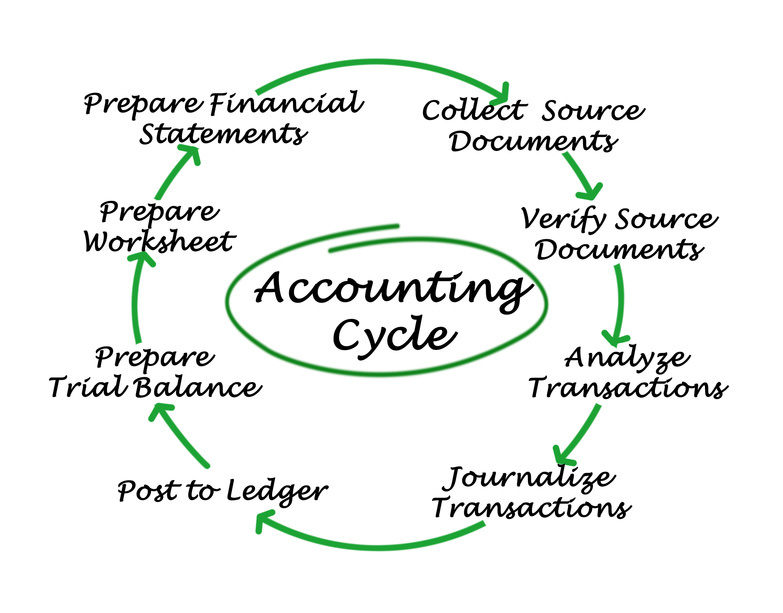 difference between cash or accrual accounting methods.